The Bulgarian nationalist Ataka (Attack) party has proposed legal amendments that would allow citizens to attack and kill animals in self-defense. The proposed amendments come after the latest horrific accident at the end of March in which renowned 88-year-old economist Boteo Tachkov was brutally assaulted and almost killed by an aggressive pack of stray dogs in Sofia's Malinova Dolina district. 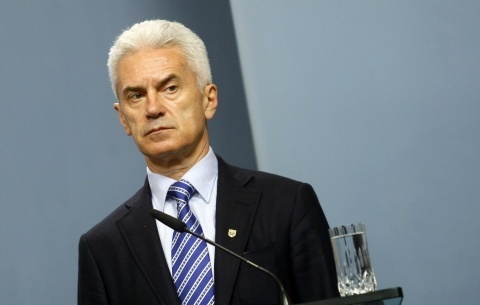 "We propose the killing of animals that have killed a human or harmed a human in any manner not to be treated as animal cruelty," Ataka leader Volen Siderov said on Monday, as cited by dariknews.bg. "If a hunting group goes and exterminates the pack in Malinova Dolina, this should not be treated as animal cruelty," he declared. Individuals who premeditatedly kill an animal in Bulgaria face up to 1 years in jail and fines between BGN 1 000 and 3 000; those hurting an animal will face probation and the same fines. For repeated cruelty and extreme cruelty the penalty is up to 3 years behind bars and fines between BGN 2 000 and BGN 5 000. On Monday, Siderov also demanded that Sofia Mayor Yordanka Fandakova resign over her inability to cope with the stray dog issue.